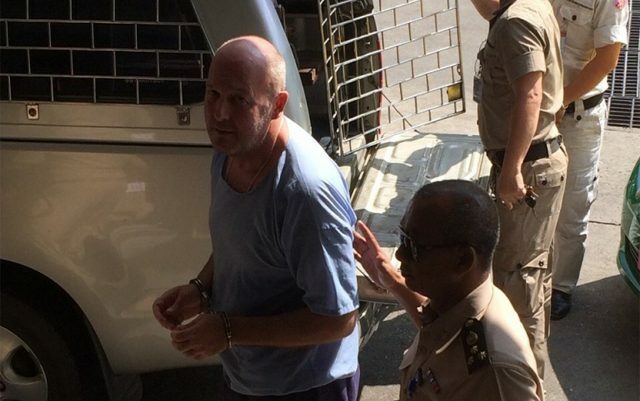 On November 10, 2015 Dutch businessman Johan van Laarhoven, 55, was sentenced by a court in Bangkok to 103 years in prison. His wife Mingkwan Kaen-in, 35, was sentenced to 18 years. They were charged with money laundering and will be serving sentences concurrently, meaning Johan will spend a minimum of 20 years inside a 50 metre cage with 49 other convicts in deplorable conditions. Mingkwan (known to friends and family as Tukta), will spend a minimum of 12 years in jail. They have two children, a son who is 14 and daughter who is currently 7. Their kids will be 26 and 19 when they see their mother released and 34 and 27 when their father — who will be 75 years old — is a free man; providing he survives his ordeal. A family has been ripped apart. The tragedy is, it seems they didn’t break any laws. Back in the 1980s, Johan van Laarhoven opened his first coffeeshop in the Dutch city of Tilburg. It was named “Ochtendgloren” which translates to “Dawn”. Within ten years he had established “The Grass Company” and opened three more coffeeshops. In the Netherlands it is legal to run a coffeeshop selling small quantities of cannabis as long as you abide by certain criteria laid out by the authorities. You must not sell to minors, you must only carry 500 grams of cannabis on the premises and must not sell hard drugs. Breaking these guidelines could result in you losing your lucrative coffeeshop license so it makes good business sense to abide by the rules. Running a coffeeshop is by no means easy money. Cultivation and distribution of cannabis on a scale required to keep a busy coffeeshop running is strictly prohibited, and enforced. This means that those running such a legitimate tax paying business are forced to deal in the black market to get product, on top of the stress of keeping up with regulations and just the day to day running of a busy successful business. It can take it’s toll on people and in 2008, Johan had had enough. He moved to Thailand with then pregnant Mingkwan, a Thai national. This allowed him to rest and enjoy time with his family. By 2011 he sold his four coffeeshops which gave him enough money to effectively retire and invest in property. In 2011, over-zealous Dutch authorities started to investigate The Grass Company for tax evasion and money laundering. This investigation led to a series of raids on offices, coffeeshops and homes of those involved in running the company. No evidence of wrongdoing was found. Prof. Guido de Bont, a fiscal lawyer, studied the files and concluded that Johan’s coffeeshops were as legitimate as a coffeeshop can get. According to de Bont, The Grass Company was well organised and nothing illegal was to be found. The Dutch authorities contacted the Thai government on three occasions (in 2012, 2013 and 2014) requesting assistance in their money laundering investigation by providing details on the value of Johan’s possessions and property in Thailand. Mingkwan is named as a witness at this point. The Thai response informed the Dutch officials that executing such investigations could take several months. To expedite things, the Dutch Officer of Justice ordered a liaison police officer working at the Dutch embassy in Bangkok to exert more pressure on the Thai authorities. This is where things started to go horribly wrong for Johan and Mingkwan. Up until this point, all official correspondence had been for the assistance in investigating the possible laundering of money that the Dutch authorities suspected had been syphoned off the mainly cash operation. This had never been proven, hence the continued investigation. It seems that the police officer working at the Dutch embassy in Bangkok sought a different approach to getting the attention of the Thai authorities – drugs. Although decriminalized and tolerated in the Netherlands, cannabis is very illegal in Thailand. A letter was sent to the Thai authorities. Things had escalated from assistance in a criminal investigation into an official request to initiate a criminal drug case. Mingkwan’s role had somehow changed from witness to a suspect. One does not have to actively follow global drug policies to know that drug offences in Southeast Asia result in serious sentences; with the death penalty often handed down to people who would not even spend time in jail for a similar offence in many western countries. The damage had been done and on July 23, 2014 Johan and Mingkwan were arrested by Thai police at their home. In July 2015, the court in Bangkok declared that the Dutch police officer, who on July 14, 2014 wrote the letter to Thailand’s Department of Justice, was ordered by the Dutch prosecutor to hurry the case. On November 10, 2015 Johan van Laarhoven was sentenced by the court in Bangkok to 103 years in prison (20 years effective) and Mingkwan Kaen-in to 18 years (12 effective). They were convicted of money laundering. However, the act of laundering money is to convert black money into white money. Johan made his money legitimately through a business that paid taxes. His money was already clean money. 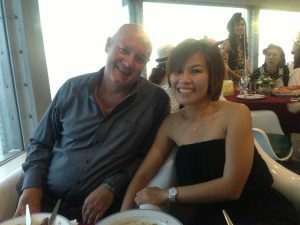 Mingkwan received her 18 year sentence because it was her, as a Thai national, who signed the papers for the property that they owned in Thailand; an act the judge deemed to be with funds that were “laundered”. The Thai court concluded that any money earned by selling drugs must be illegal money and that spending it is an act of money laundering. They did not consider that his actions were legal in his country. His Thai assets were seized. His family’s home and vehicles auctioned off. This letter from the Dutch public prosecutor to Thai authorities shows these proceeds were an incentive for Thai authorities to act. This all sets a rather alarming precedent. Following the logic (if you can find any) of this case it would say that any money that is earned from a perfectly legal cannabis-related business that is then spent in Thailand is illegal. Alarm bells should be ringing for any cannabis business owners looking to invest in Thailand. On November 12, 2015 (one year and two days after the couple were sentenced) a court in the Dutch town of Den Bosch came to the conclusion in the Dutch case against The Grass Company that the coffeeshops were following the Dutch tolerance policy. The company’s administration was “transparent and flawless”. In the Netherlands resistance is growing against the imprisonment of Johan and Mingkwan. A petition is running to request the couple receive a fair trial in the Netherlands. Six political parties in the Dutch government (D66, PvdA, SP, GroenLinks, 50Plus and Partij voor de Dieren) are demanding, under the direction of member of parliament Vera Bergkamp, that the Dutch government take official action against the imprisonment of Johan and Mingkwan. Vera Bergkamp especially wants to know why the liaison officer at the Dutch Embassy in Bangkok wrote a “request for initiating an investigation”. Vera Bergkamp is demanding that the Dutch government sees to it that both Johan and Mingkwan are returned to the Netherlands.